This movie is going to be good or trash? It was Tom Holland as voice actor, so I am going to assume is going to be good. What do you think about this movie? I found the IMDB page for this a while back (I believe around May or June) whilst looking at either Will Smith's or Tom Holland's page. At first I thought this would be a buddy cop style film, a geeky inventor teaming up with a super spy. Seeing the trailer made me feel that as well, but turning Will Smith into a pigeon to be more undercover in New York? Okay then, I am kinda interested in two ways. One being that both that I enjoy the concept of transformation and seeing how the person under the affect, reacts and tries to live/survive. And the other side being that I am interested in seeing Tom Holland and Will Smith together. The trailer gave me the impression of an average kids film. The kind that isn't terrible but isn't a must watch either. I think it'll be alright. You got Will Smith and Tom Holland, who are both amazing. The concept isn't exactly new, but still interesting. I thought it looked really awesome at the beginning of the trailer. Like a straight up animated classy superspy film. Still looks neat, just a tad more kid-oriented. Will Smith and Tom Holland are both great, so I imagine it’ll at least be entertaining. Animation looks good and it as a nice style overall. I can see this turning out good. Come to think of it, as "not too bad" as the premise is, the title could be a lot better. 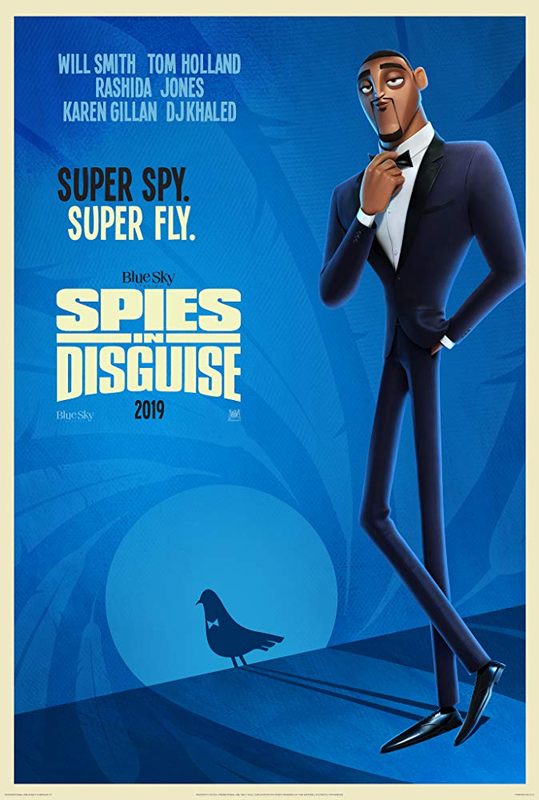 "Spies in Disguise" is just so horribly generic.